"The mission of this organization is to send out a handkerchief to women who have recently lost a child. It is a way of sending comfort in their time of need, letting them know that we care and that they are not alone. There is no profit to be made in doing this." 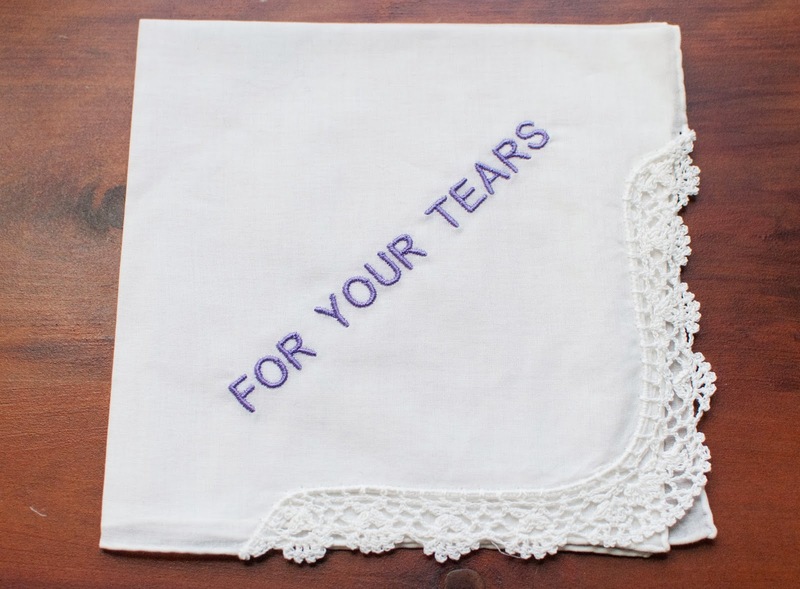 If you have recently lost a child and would like to request a handkerchief for yourself or for a friend, visit the website. This small thing has already brought me comfort. It is such a special, kind thing Debbie is doing for bereaved parents. Look how beautiful the handkerchief is... it is too pretty to actually use. I don't want it to be ruined, so am going to keep it as a keepsake.